I know that I mentioned the notion of my ‘boys’ around Joe Strummer’s birthday last year. At the time I said they were a post for another day. Well, as another of Strummer’s birthdays has come and gone, it’s probably time to introduce them. First let me say that I am somewhat of a music obsessive, so the list of artists and music styles that I love is long. Really long. This means there are many incredibly gifted artists that aren’t amongst my boys. Some of those who miss out, I am actually quite obsessed with and have been for decades, but my list isn’t just about talent alone. It’s not actually that easy to explain why someone makes my list and the extraordinary genius that is Paul Kelly, for example, doesn’t. Suffice to say they are long time loves, and you just don’t mess with that. Dennis Denuto said it best: it’s the vibe. Dark, broody, dangerous and downright hilarious – these are the words that come to my mind about the brilliant Mr Cave. Thankfully (or perhaps not so, as he is now a ’brand’ which seems very un-Cave-like) he has been ’discovered’ by the public in recent years, achieving his first number one album in Australia this year with Push the Sky Away (only took until his 15th album). For those who perhaps only know the more recent brilliance, take a long, slow walk through the back catalogue. But leave a trail of breadcrumbs – it’s a dark path at times. He is a writer who truly loves words and storytelling, recently saying that there is “something apocalyptic about texting”. “It feels like a reduction of language and it feels like the end of things”. I. Love. Him. 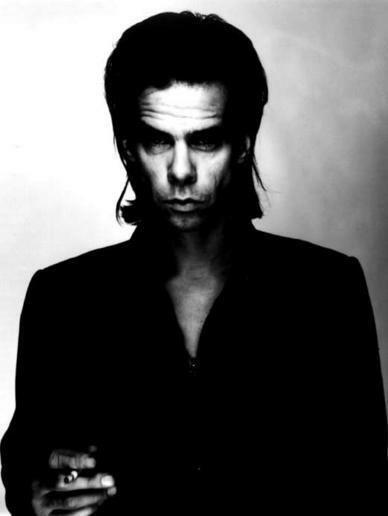 I often say that I worship at the altar of Nick Cave – there is a feckin’ good reason. Many actually. And while I’m at it, happy birthday for Sunday my good sir. So, I’m going to take a slightly different tack. Allow me to share the very awesome Johnny Cash covering Cave’s equally awesome The Mercy Seat. Nerd alert! Most of my family are cray for the other Elvis. 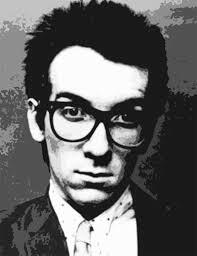 Declan McManus was and is MY Elvis. The man writes some incredible stuff and genre hops with greater ease and audience acceptance than should be possible. 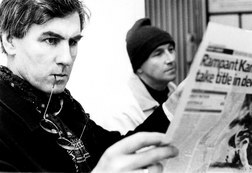 Start at the beginning with the punk inspired work with The Attractions or more recent collaborations with other songwriting geniuses like Burt Bacharach. As the young people commonly say – it’s all good. Fave: No surprises that I have a few, but I’ll share one that is from a movie few saw, but I loved. (It’s a little ’chick-flicky’ so fair warning.) It’s one of those collaborations with Bacharach. The song is God Give Me Strength, the movie is Grace of My Heart. The version in the movie is killer in context (sung by someone else), but Mr McManus does alright himself (on Letterman in 1997). Oh my, where do I begin. Finn the younger was my first ever crush. Seriously! It was the time of Split Enz & I would have been all of 7 or 8. I’ve loved this bloke a long time. 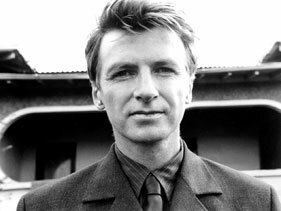 When my sister was living in Auckland, we were on a road trip to Rotorua and oddly enough playing Crowded House in the car. I was checking our route on a map (pre-smartphones) and spotted a certain town. It was a short detour and clearly the music gods had intended it – so we were off to Te Awamutu! It was my Graceland moment (or closest I’ve had to one). I wish I could lay my hands on the picture I took, but take my word that sign out the front of Te Awamutu Museum said ’where history never repeats’. Alright, well I laughed. Even if technically a museum is in the business of repeating history. Aren’t they? Or do they mean it’s frozen forever in time. Whoa. Too meta. Message to My Girl (see below) – if he’d written that for me, I’d have married him too. The ENZSO version – goosebumps every time. Just heaven. Won’t Give In: a Finn Brothers collaboration, it is almost 10 years old and I am yet to make it through this song without tearing up. Not kidding. Every feckin’ time. Distant Sun: also known as my ’happy place’. This song will drag me out of any funk. So why I always seem to play this BEFORE Won’t Give In remains one of life’s mysteries. Or… I’m just an eejit. (If you’re counting at home, note that I’m counting these gents as one unit – even though individually they are both incredible talents). Such joy mixed with such sorrow here. It’s been 7 years since we lost Grant McLennan and the hole that remains is a big ‘un. I think for anyone of a certain age who grew up in Brisbane, these men contributed greatly to the soundtrack to our lives – for some their childhood, others their high school or uni years. It was the first time that Brisbane was mentioned in a song (at least one that was remotely cool). They were writing thoughtful, soulful music while all around them in Brisbane was punk to the max. (That’s not a complaint, merely pointing out that they did their own thing.) You often got the feeling of the music being from here, and the songwriting was literary in form and often in reference. They also were an early step to try to disprove the ‘only culture in Queensland grows in yoghurt tubs’ image that sadly still persists. But it was a start. The fact that they are beautiful storytellers who could write beautiful songs is just the proverbial cherry on top. Another with Brisbane in his history, despite fleeing for parts south during the Joh era. Tex started his career in Brisbane in quite possibly one of my fave band names ever – Tex Deadly & the Dum Dums. 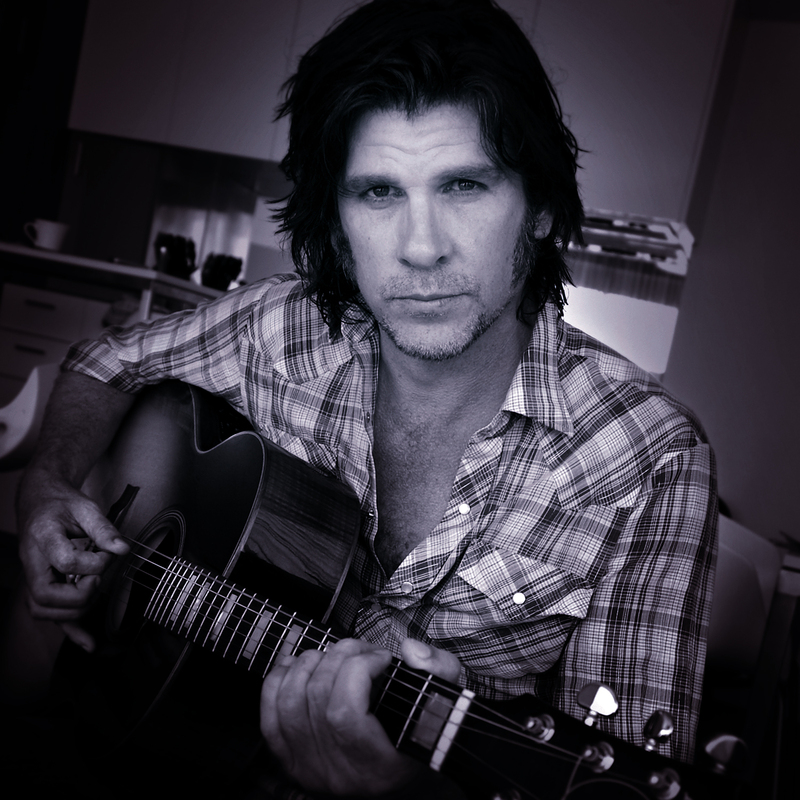 He is another to do a little genre hopping over the years. So if The Cruel Sea is not your flavour, try the Beasts of Bourbon. If not them, then the work with Don Walker & Charlie Owen, or Dark Horses or The Ladyboyz or…well you get the picture. And if you haven’t seen him perform live, just bloody do it. But stand back, cos that swagger has some serious reach! I have already devoted an entire post to my love of Strummer so there’s probably little else that I can add. A minstrel, a punk, a voice sorely missed – more so each day. 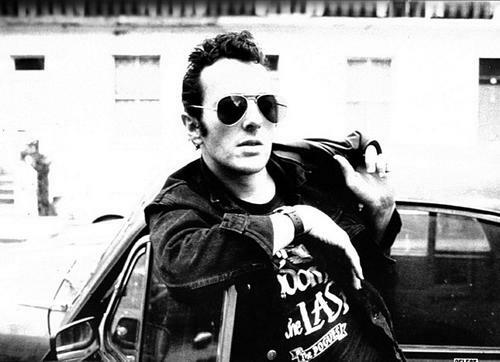 The modern world needs a Strummer. So there they are. You’ve probably noticed there are some common threads with my boys: all have a strong and distinct voice, they write passionately and vividly, they create a mood and tell a story and not just a clever or catchy tune, and more than one is a little punk in attitude. For those wondering about who is sitting just outside the list (apart from the aforementioned Paul Kelly), another notable exception is David Bowie. Because – well I shouldn’t really have to give a reason – it’s bloody Bowie! Give me more time and I’d give you more names. But there you go…my boys.